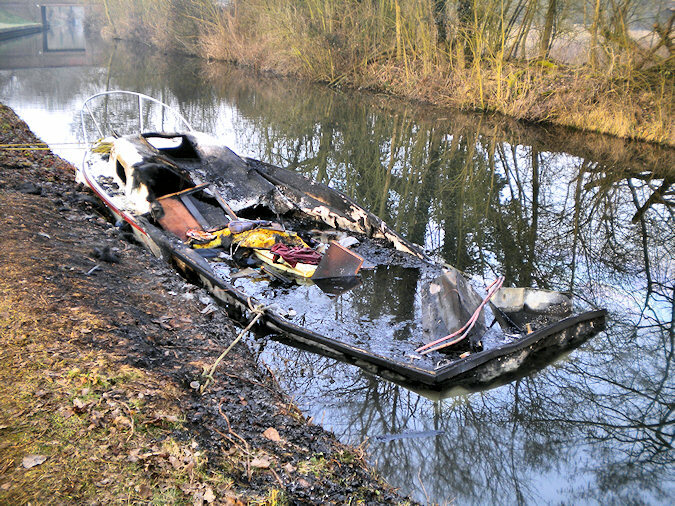 Ministry of Propaganda - 20/Mar/2010: "Burned Out Boat on the Canal"
Having seen it perfectly fine the morning before it must have happened the day (or night) before. 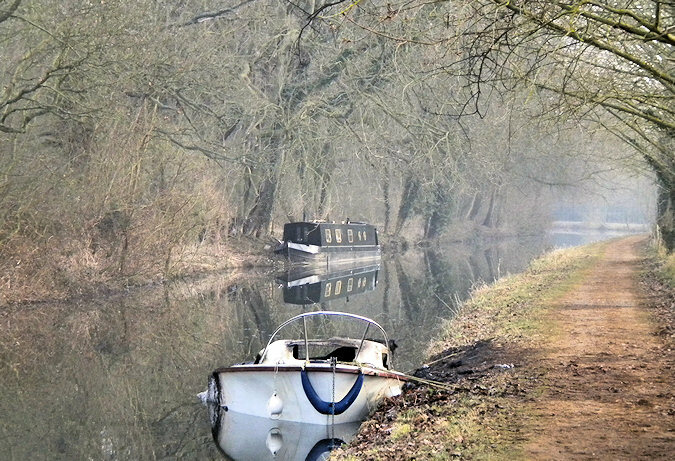 Not too many people normally are in the area, there's one house nearby and a canal boat was moored 100 yards or so away (I guess they will have raised the alarm, assuming they were around). 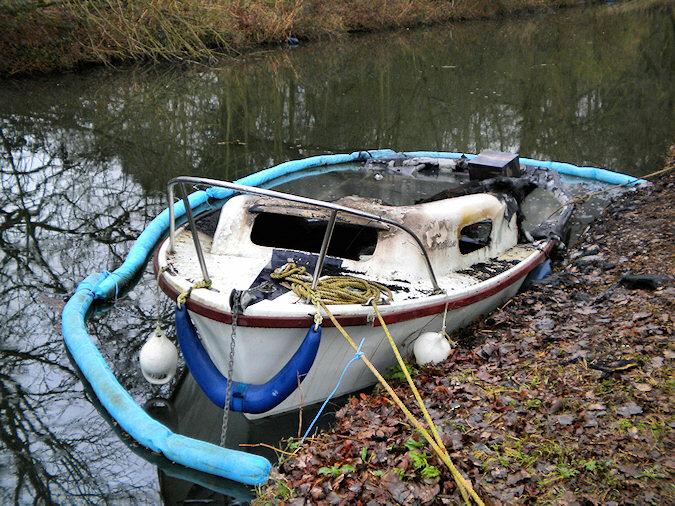 Today I found a bit more background, Newbury Today writes ‘Fire crews called to suspected boat arson’, mentioning it happened around 22:00 hrs on Wednesday.